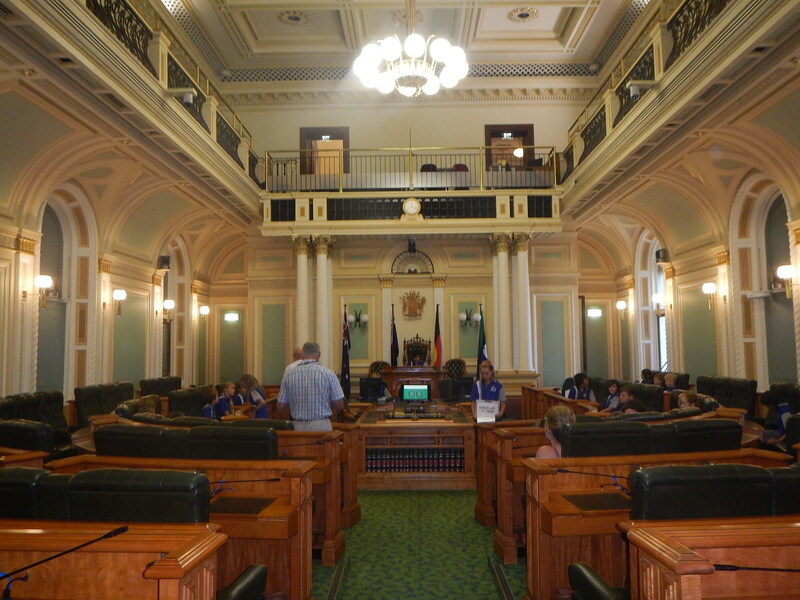 I was treated to a tour of the Queensland Parliament House by a retired political science professor who gave lots of insight into the operation of the Queensland government and its history. Established in 1860, shortly after the founding of the colony of Queensland, the Parliament of Queensland is unique compared with the other state parliaments in Australia in that has a unicameral legislature. These types of legislatures are unusual in countries following the Westminster parliamentary system which prescribes a lower house and an upper house of review. The Parliament House is an architectural juxtaposition of Victorian style and 1960s ugliness, a concrete office tower joined to an grand, ornate structure. I enjoyed seeing the staircases, stained glass windows, and objects from Queensland’s history displayed throughout the building. My law school friend and I spent a good part of Saturday exploring South Bank in the glorious Queensland sunshine. Situated along the Brisbane River across from the Central Business District, South Bank was the site of World Expo 88, a successful World’s Fair held in Brisbane. After the fair, the city kept many of the Expo’s structures and sculptures and the area continues to be a draw for tourists. 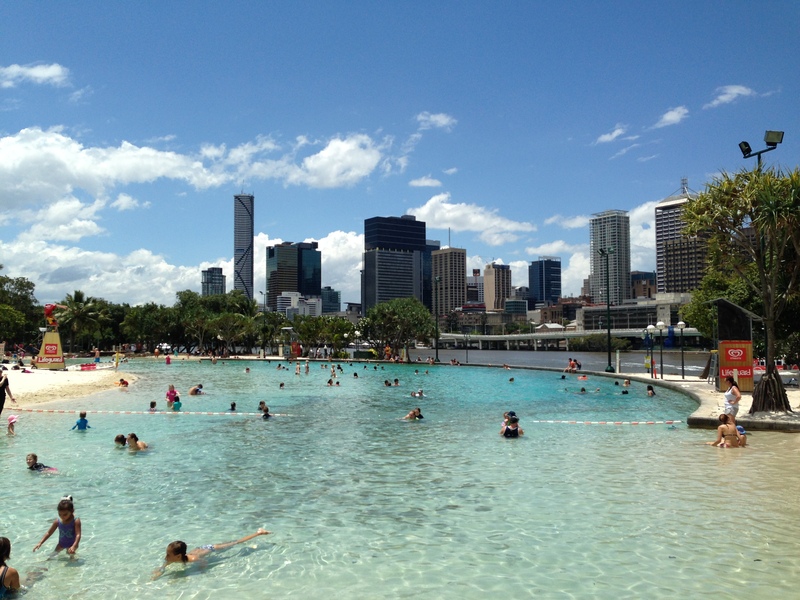 South Bank is perfect for taking a springtime stroll, swimming or just dipping your feet in the pool, admiring the river and the skyscrapers on the other bank, exploring fascinating museums such as The Queensland Art Gallery and GOMA (which are free but often have worthwhile exhibitions that charge admission), or having a leisurely al fresco lunch at a restaurant like The Jetty. If you’re in Brisbane, give yourself a whole day to explore and enjoy this urban playground. On Sunday, I spent a few hours paddling my way down the Brisbane River in a kayak I rented from Riverlife Adventure Centre, located on Kangaroo Point. Riverlife has all sorts of adventurous activities you can do in the water or on Kangaroo Point’s rocky cliffs, including, in addition to kayaking, rappelling (abseiling), rock climbing, roller blading, cycling and many others. I opted for hiring a kayak for two hours for $35. You can also take guided kayak trips with Riverlife, which I would recommend if you are not an experienced kayaker. The Brisbane River is affected by the tides and the currents are somewhat strong. Also, you have to be careful not to get near ferry boats and RiverCats. 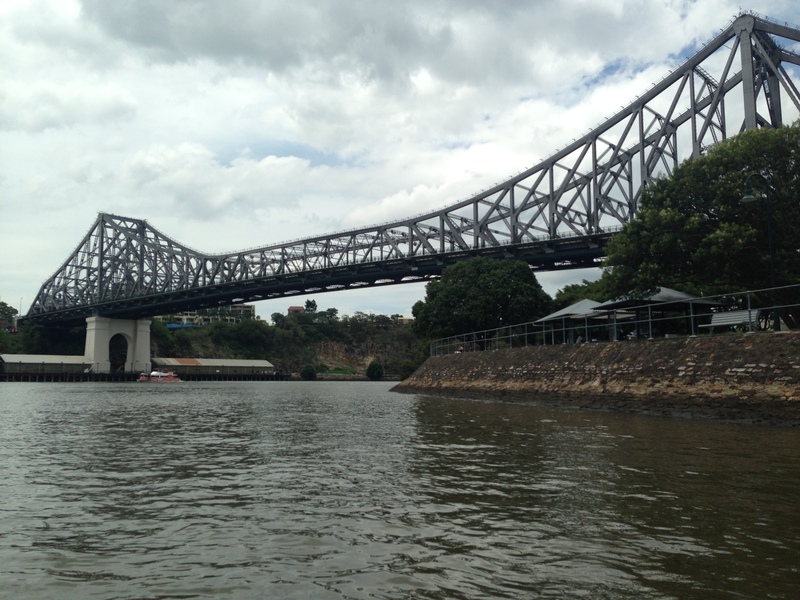 I paddled to the Story Bridge and back a couple of times, combining a workout with a scenic trip down the river. 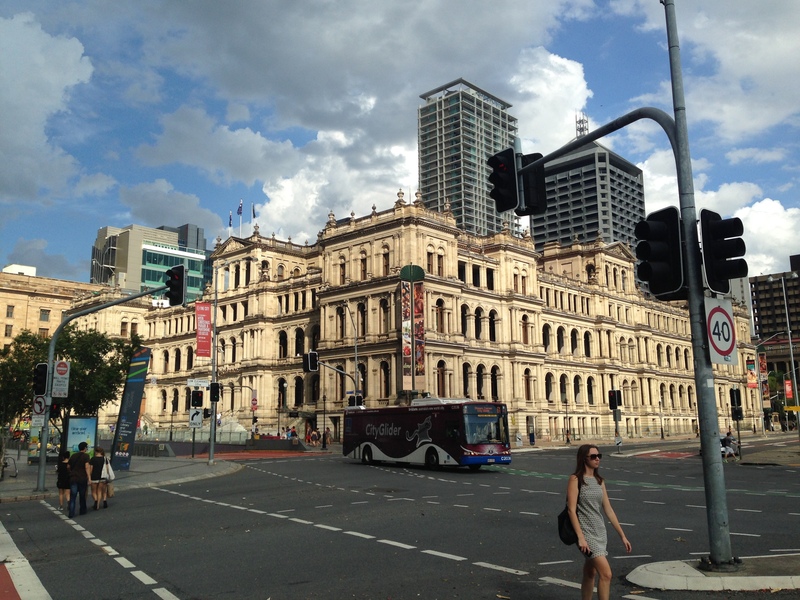 I spent an afternoon having a wander through Brisbane’s Central Business District, I started my journey at the Treasury Building, a sandstone Italianate structure built between 1886 and 1928, which once housed public administration offices and is now home to a casino. Next, I made my way through the Brisbane Botanic Gardens, a tranquil place, lovingly landscaped, and dappled with tropical color. I followed the riverbank up through the Eagle Street Pier as cyclists whizzed by. 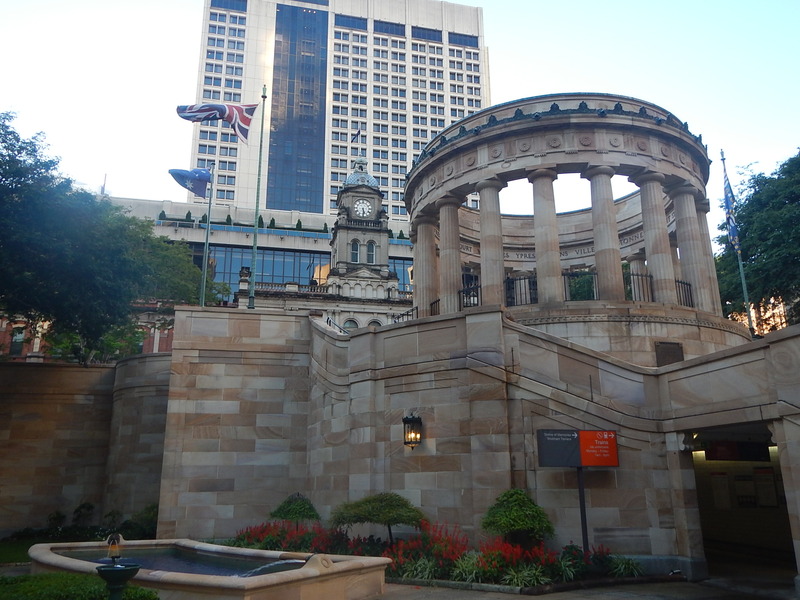 Back on the city streets, I made stops at the architectural marvels of St. Stephen’s Cathedral and Anzac Square before departing at Central Station. If you happen to be in Queensland, it is definitely worthwhile to linger there a couple of days to enjoy all that Brisbane has to offer. For public transportation, the TransLink three day pass is not worth it unless you are using it for trips from the airport and the Gold Coast. It is often more cost efficient to just get a TransLink card and load it as you need it. Take a ride on the RiverCat for a scenic although somewhat slow way of getting around Brisbane. Enjoy excellent seafood while taking in river views at Jellyfish Restaurant. In the morning, join Brisbane’s fit and fabulous by going for a run near the campus of the University of Queensland. Indulge in coffee and sweet treats in the cafe at the Indooroopilly Golf Club. If you’re enjoying South Bank and thunderstorm rolls in, take shelter in one of the many museums. Brisbane is a great jumping off point to explore more of the Queensland Coast with inexpensive flights to points further north. the parliament house looks like a church and the south bank looks like a real beach. Brisbane is quite cool. I like it so much.